U.S. Distributor is Tecnam US Inc. 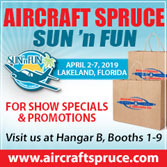 This week kicks off the truly gigantic trade show known by its sponsoring organization's abbreviation: NBAA, or in common lingo, "Enn, Bee, Double A." While not taking up the extensive terra firms of Oshkosh, NBAA actually has more paying exhibitors. They even tow aircraft down city streets in the dark of night so a reported 100 aircraft can be on display at the Orlando Civic Center. The show has become so large that supposedly only two U.S. convention centers are big enough to contain the sprawling affair: Las Vegas and Orlando. The latter is just down the street for me so every other year I go and look for something to report amidst my wandering around astonished at the sheer size of the event and how much money gets spent for a three-day show. 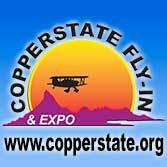 I always find something of interest to the light aviation, recreational flying community. This year, I'm on the lookout for Tecnam, one of this website's longtime sponsors and surely the largest company serving up Light-Sport Aircraft around the world. At NBAA 2018, Tecnam will be showing their 11-seat P2012 Traveller, a model made for feeder airlines such as Cape Air, which said it is "one of the largest independent regional airlines in the United States, serving 39 cities in the US, Caribbean, and Micronesia." Cape Air is the launch partner for the transport aircraft. As alert readers will observe, P2012 still looks significantly like a Tecnam, albeit with too many seats and too many engines to be anywhere near a LSA. While Traveller is their foray into NBAA's glittering world, Tecnam remains highly active in aircraft that readers of this website recognize. Tecnam has been busy this year; here are a few of their recent successes at delivering their light aircraft all around the globe. Greece — Hellenic Air Force Academy, based at an air base near Athens, is a unit of the Hellenic (Greek) Air Force. A recent delivery is the first of 12 Tecnam P2002JF trainers HAFA ordered. 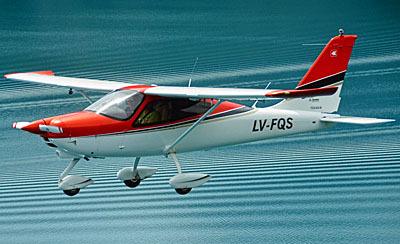 The Academy selected the Tecnam model as its next-generation screening/primary training aircraft. P2002JF is a two-seat, single-engine, low-wing aircraft powered by the Rotax 912 and fitted with the latest avionics from Garmin. Tecnam is familiar with supplying government air forces. In 2016 Tecnam delivered eight P2002JF aircraft to the Argentina Air Force. "This [South American] fleet has amassed a total of over 6,000 hours and performed 16,000 landings to date," noted Tecnam. ByDanJohnson.com readers know this model as the Sierra. Poland — Tecnam announced today that the Polish Medical Air Rescue (PMAR) has placed an order for three Tecnam P2008JC Mk II airplanes. PMAR is a very active organization using a fleet of aircraft to perform nearly 10,000 flights in the first eight months of this year alone. P2008JC is comprised of a carbon-fiber fuselage with metals wings and stabilator. "This combination of composite and metal resulted in a more fuel efficient and much quieter aircraft," said Tecnam. The MkII version of P2008JC features a number of significant enhancements including a new avionic suite with a refreshed interior design. Australia — This summer, Tecnam announced the sale of eight P2008 light sport aircraft training aircraft to Soar Aviation of Melbourne, Australia. 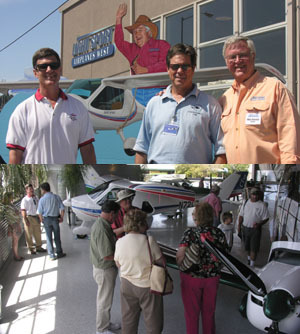 Soar claims to be Australia’s largest private flying school with with over 500 students. It operates a fleet of 48 Rotax-powered training aircraft and has a team of 100 employees, including more 67 instructors. Soar has facilities at the Moorabbin Airport in Melbourne, Australia and at the Bankstown and Bendigo airports in Sydney, stated Tecnam. France — The same month as the Aussie sale, Tecnam said they took an order for four P2010 MkII four-seat aircraft from Air Paris Academy based at the Tours Airport. Tecnam describes their P Twenty Ten as "the first new single-engine, high-wing, four-seat aircraft from Tecnam that brings together an advanced technology all carbon fibre fuselage with a metal wing and stabilator." Just a month earlier, Tecnam announced that Australia's Civil Aviation Safety Authority and the Civil Aviation Authority of New Zealand validated the Tecnam P2010 based on the EASA Type Certificate including a 215 horsepower version of the Lycoming IO390-C3B6 powerplant. Tecnam's large portfolio of aircraft from LSA and sport aircraft to four seat GA aircraft to twin engine personal aircraft to the new 11-seat regional airliner makes for an active company rapidly growing to be one of the world's aviation powerhouses. This week kicks off the truly gigantic trade show known by its sponsoring organization’s abbreviation: NBAA, or in common lingo, “Enn, Bee, Double A.” While not taking up the extensive terra firms of Oshkosh, NBAA actually has more paying exhibitors. They even tow aircraft down city streets in the dark of night so a reported 100 aircraft can be on display at the Orlando Civic Center. The show has become so large that supposedly only two U.S. convention centers are big enough to contain the sprawling affair: Las Vegas and Orlando. The latter is just down the street for me so every other year I go and look for something to report amidst my wandering around astonished at the sheer size of the event and how much money gets spent for a three-day show. I always find something of interest to the light aviation, recreational flying community. 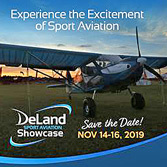 This year, I’m on the lookout for Tecnam, one of this website’s longtime sponsors and surely the largest company serving up Light-Sport Aircraft around the world. 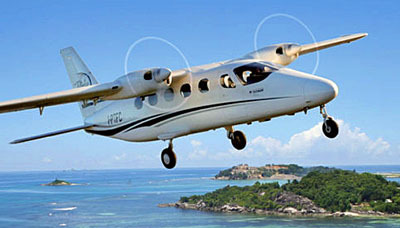 Fourteen years ago, light aviation leader Tecnam brought their only low wing, the Sierra, to market. It went on to become one of their most popular airplanes ...and that's truly saying something since the Italian company has a broad line of beautiful airplanes. On the 65th anniversary of this company founded in 1948, Tecnam brought their sparkling new Astore to the market (so named in honor of the very first aircraft the company offered). At its debut most thought Sierra had been replaced by Astore, perhaps never to be seen again. Happily, that is not the case. An old line is: Nothing succeeds like success. Therefore, given the impressive run of Sierra the First, and even with the Astore, Sierra Mark 2 may be utterly logical. "The market is always demanding greater comfort and more features," says Tecnam Managing Director, Paolo Pascale, "so improving and updating our product is a must." The Capua, Italy-based company announced, "Tecnam has introduced a substantially updated and improved Mark 2 version of the company's popular P2002 Sierra." The model name P2002 indicates the original design was created that year. Tecnam observed, "P2002 Sierra MkII retains all the features and flying qualities which have established the aircraft's position in the marketplace. However, the Mk2 model offers an improved cabin for greater comfort, top level avionics, new paint colors and interior options and a redesigned cowling for the 100-horsepower Rotax engine." Sierra Mk2's cabin has been enlarged. A glance at the instrument panel or its snazzy sports car-quality seats displays the premium new interior design. Led by their patriarchal and celebrated designer Luigi Pascale — this year's winner of the LAMA Outstanding Individual Award — Tecnam engineers redesigned the canopy to provide more headroom. With the new canopy, a positive-locking mechanism assures reduced noise level. Seats are not only handsome but now offer additional fore and aft adjustment to better accommodate folks of different sizes and shapes. Beside a sleeker engine cowling Sierra Mk2 has several distinctive options for paint colors and interior fabrics. The new creations definitely upgrade the older design and will impress anyone you take aloft with you. A few facts and specs are in order. 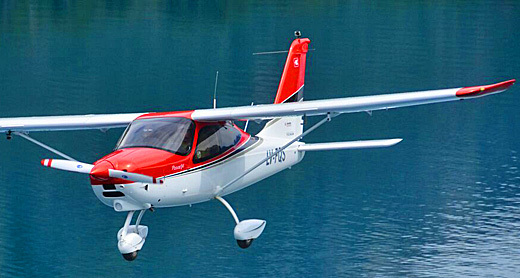 Sierra offers a 600 nautical mile range thanks to 29 gallons, thanks to the good fuel economy of its Rotax 912 engine, burning 4.5 gallons per hour, noted Tecnam. Sierra Mk2 weighs 809 pounds empty, has a 514 pound useful load with 44 pounds of baggage. It can cruise at 120 knots, Tecnam advises while stalling at just 38 knots. It climbs at 800 fpm. Professor Luigi like to use tapered laminar airfoils with slotted flaps and Sierra also has these advanced features. As with all Tecnams, the main airframe is metal, familiar to any repair shop anywhere in the world... a useful factor for a company that sells all over the globe. To my eyes — and many others agree — one of the best aspects of the Sierra is its sliding canopy. You can slide this aft, at least partially, in flight and those of us who enjoy an open cockpit love this sensation in an otherwise very civilized environment. About this all-clear canopy Tecnam noted it offers, "full rollover protection, tested via inverted drop tests. A glance at the panel shows the great advancements in instrumentation since Sierra was first offered, long before digital glass screens and devices like iPad (which, by the way, Astore neatly incorportated into its panel). 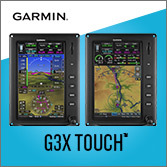 You can choose from either Dynon SkyView or Garmin G3X, either of which is superb. Finally, handling has always been a very strong area for the Tecnams I've flown (which has been all their LSA models). The company stated, "The horizontal stabilator tail design provides remarkable longitudinal hands-off stability along with minimum drag and weight penalty. This provides balanced two-finger flight control." The first model will be delivered to Tecnam U.S. in time for the 2017 Sebring Expo. The show runs January 25th-28th. Even if you can't make that 13th annual event, I'll be all over Sierra Mk 2. Fourteen years ago, light aviation leader Tecnam brought their only low wing, the Sierra, to market. It went on to become one of their most popular airplanes …and that’s truly saying something since the Italian company has a broad line of beautiful airplanes. On the 65th anniversary of this company founded in 1948, Tecnam brought their sparkling new Astore to the market (so named in honor of the very first aircraft the company offered). At its debut most thought Sierra had been replaced by Astore, perhaps never to be seen again. Happily, that is not the case. An old line is: Nothing succeeds like success. Therefore, given the impressive run of Sierra the First, and even with the Astore, Sierra Mark 2 may be utterly logical. “The market is always demanding greater comfort and more features,” says Tecnam Managing Director, Paolo Pascale, “so improving and updating our product is a must.” The Capua, Italy-based company announced, “Tecnam has introduced a substantially updated and improved Mark 2 version of the company’s popular P2002 Sierra.” The model name P2002 indicates the original design was created that year. 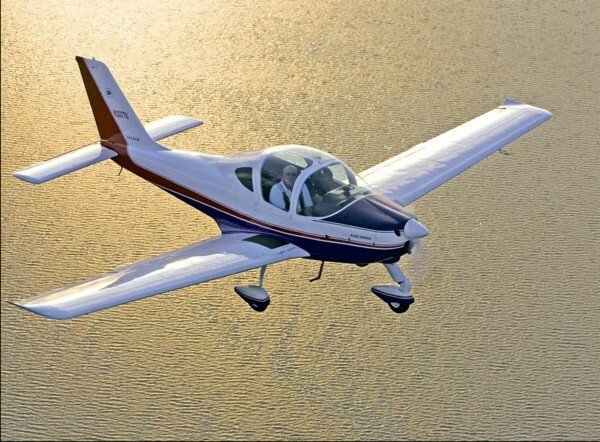 Read More About: Astore Sierra Tecnam US Inc.
As a company Tecnam has several distinctions: they are one of the oldest light airplane producers, dating to 1948; they have more models of SLSA than any other company; and the Italian company has one of the broadest lines. Here we look at their sliding-canopy, low-wing Sierra P2002, a model with a great following around the world. 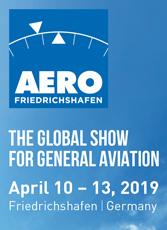 Read More About: Sierra Tecnam Costruzioni Aeronautiche Tecnam US Inc.
Flags of many nations fly over Comco's exhibit, representing the dozens of countries sending visitors to Aero 2014. We've seen the Skyleader 600 at recent airshows in the USA. It's a handsome all-metal low wing airplane with a backward hinging canopy. Jacksonville, Florida-based importer, Randell Dutton, indicated he will next bring in this GP One, which offers lower cost and is aimed at flight school use. It uses a different construction technique than other Skyleaders models. For more info: Skyleader GP One and Skyleader USA. Aero 2014 is history now but sorting through all the discoveries and reviewing hundreds of photos I shot will consume more time. Just to give a flavor of the diversity in the halls, I present some images below with photo captions. As time allows I will provide several articles about aircraft and concepts contained in the great halls of Aero. One topic I will not cover is the large number of radio control or other model airplanes I saw. In some years, such can take an entire gymnasium-sized hall by themselves ... fascinating! Yet the image you see nearby is a shot taken by a small quad copter (photo inset) with its wide angle lens. Such tiny flying machines are surely part of our future and seeing things below is part of their mission (for better or worse). My LAMA Europe associate and friend, Jan Fridrich, asked a vendor to shoot the image you see, which would not have been possible by any means other than a hydraulic lift. Instead, this took a few seconds and cost virtually nothing, which tells you all you care to know about the coming age of aerial surveillance. In the images below, I offer you a further glimpse to accompany my first impressions piece and a couple articles presented since. Following these I expect to prepare articles on a variety of engines I saw at Aero plus a wider review of the many handsome gyroplanes one found in exhibit after exhibit. I took a look at several four seaters other than those I've already written about from leading LSA vendors (watch out Cessna, Piper, Cirrus, & Diamond!). I'll write more about the wave of small, highly affordable aircraft being developed in response to lightened regulations ... yes, rule writers actually loosen their grip on occasion, and when they do, innovation can blossom. I will also touch on aircraft from countries you hardly know exist, yet companies and their engineers in those nations have created some eye-catching aircraft. The world of aviation is rich at Aero. 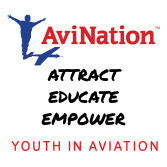 In their wrap-up news release, show organizers made these statements: "In global aviation, Aero has a strong standing; pilots and aircraft experts from around the world come to Lake Constance [in the very south of Germany]." At the end of the event facility CEO Klaus Wellmann and Aero project manager Roland Bosch gave a positive assessment of how the exhibition went for all participants, "With 606 exhibitors from 35 countries ... a highly professional and international range of general aviation was present in Friedrichshafen [and an] audience from around the globe had the industry conference on its flight plan: 33,400 visitors came" representing a modest growth from last year. Aero 2014 is history now but sorting through all the discoveries and reviewing hundreds of photos I shot will consume more time. Just to give a flavor of the diversity in the halls, I present some images below with photo captions. As time allows I will provide several articles about aircraft and concepts contained in the great halls of Aero. One topic I will not cover is the large number of radio control or other model airplanes I saw. In some years, such can take an entire gymnasium-sized hall by themselves … fascinating! Yet the image you see nearby is a shot taken by a small quad copter (photo inset) with its wide angle lens. Such tiny flying machines are surely part of our future and seeing things below is part of their mission (for better or worse). My LAMA Europe associate and friend, Jan Fridrich, asked a vendor to shoot the image you see, which would not have been possible by any means other than a hydraulic lift. Read More About: Atol Atol Avion Ltd Sierra Skyleader (was Jihlavan) Skyleader 600 Tecnam Costruzioni Aeronautiche Tecnam US Inc.
DUAL HIGH WINGS - A pair of Tecnam high wings cavort in formation. The Bravo (top) is a cantilever design while the Echo Super stays with wing struts. BASIC PANEL - Standard instrumentation gives you all you need for plenty of airborne enjoyment. ANALOG PANEL - A gyro horizon, directional gyro, nav/comm radio, and transponder allow operation in more airspace. GLASS PANEL - For those seeking the latest in computer screen instrumentation, Tecnam offers this dual Dynon package with radio and transponder. Plenty of panel space remains for other avionics. ACCOMMODATING SEATS - Tecnam seats are secured with 4-point seat belts and a cutout for full aft joystick motions. 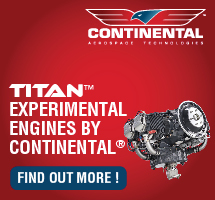 ROTAX POWER -Tecnam mounts the 100-hp Rotax 912S engine on their planes, as do most European suppliers. TEST READY - As airplanes are completed they can be test-flown at the company's airport operation in Italy. DOOR INTERIOR -Tecnam achieves a professionally finished conventional interior, as this doorframe and interior show. DAWN ON A BRAVO - The early morning sun rises over a Tecnam Bravo. Announced in July '04, the Light-Sport Aircraft (LSA) category is still relatively new, and has yet to celebrate its fourth birthday. But many of the airplanes getting all the attention today were not born in the last 3 1/2 years. Many have rather long histories, some in Europe's microlight category and others in countries that have applicable standards. Among the longest in production is the Tecnam family of airplanes. The central Italian company reports more than 2,000 of their light planes flying in what may be the largest fleet in this market segment. Given this company's track record, these airplanes have gone through rounds of improvement. Our subject this month, the P2002 Sierra, came from the P-96. The numbers relate to the year of development and show the low-wing Special Light-Sport Aircraft (SLSA) from Tecnam has a dozen years of history. Costruzioni Aeronautiche Tecnam (the company's complete name) is 57 years old and traces its roots back to the 1950 P48B Astore. Their twin-engine Partenavia series of aircraft emerged in the 1970s, and as yet further proof of their continued refinement Tecnam flew their twin-Rotax P2006T for the first time recently. It bears a striking resemblance to their Partenavia general aviation twin, which, of course, can't be a LSA. Tecnam enjoys a full aviation history and in Sport Pilot/Light-Sport Aircraft's (SP/LSA) 3 1/2-year history has had three models certified as SLSA: the Sierra, Bravo, and Echo Super. Twenty-First Century Tecnam Italy's Pascale brothers first began building airplanes just after WWII and founded the modern company we know as Tecnam in '86. Based today in Casoria Napoli, Tecnam operates with 36,000 square feet of facilities adjacent to the Naples Capodichino airport. A second establishment is located in Castelvolturno and features the final assembly line at a field where flight tests can be conducted. How can a LSA company afford the development costs of three different SLSA plus a twin and other designs? Part of the answer is that Tecnam has other businesses, building fuselage sections for Boeing, horizontal tailplane assemblies for ATR airliners, and parts for various other large aircraft. The company has state-of-the-art facilities equipped with many engineering computer workstations, extensive machining capability, a full aircraft assembly line, ISO 9002 quality certification, and nearly 100 workers on the production line. As SP/LSA appeared in the aviation landscape, Tecnam altered their earlier approach to distribution. They dispensed with the idea of an importer, distributors, and dealers and instead directly hired Lynne and Mike Birmingham as their U.S. agents. The role, which they emphasize is not that of an importer, asks the Georgia-based husband-and-wife team to enlist dealers and to start importing and distributing the company's airplanes. They've done respectfully well at this as proven by the Tecnam brand and their three models holding the #4 rank among all producers and slightly over 6% of the market. My experience with Tecnam includes the older high-wing P92 Echo and lowwing P96 Golf plus the newer low-wing Sierra and high-wing Bravo. The P92 led to the Echo Super SLSA and the P96 gave way to the P2002 Sierra SLSA. Tecnam's agent Lynne Birmingham, who with her husband Mike are accomplished pilots, reports that the Sierra is substantially changed from the earlier P96 Golf. But it shares an identical wing with the company's high-wing, cantilevered Bravo, she adds. The main change from the older P92 and P96 models to the P2002 Sierra and P2004 Bravo is the wing. The former squared-off "Hershey Bar" wing gave way to a tapered wing with laminar flow shape. After refinements, a gentler stall resulted and the new wing enjoys a slightly better speed range cruising 6 to 8 knots faster. While the P96 hit 109 knots (125 mph), the Sierra can slip along at 116 knots (133 mph) at 75% power, the company claims. Some have questioned how 75% power can result in 116 knots with the speed capped at 120 knots (138 mph) for LSA; my own experience in the Bravo using onboard instruments brought an upwind and downwind average of 113 knots (130 mph). Mike Birmingham, a deeply experienced pilot before he and Lynne started pursuing light sport aircraft, says the Sierra also takes turbulence better. "It feels less like a light plane and more like a heavier airplane," he clarifies, but he also says it's more not less responsive in roll. My experience with the Sierra and Bravo corroborates the conventional and enjoyable handling of these two machines. The wing changes also appear to have enhanced longitudinal stability. "It's magnificent," exclaimed Mike, "The Sierra comes back to level in three oscillations!" Such a quality improves cross-country flying even for those who choose an autopilot option. This characteristic also helped landings by allowing you to flare more precisely, thanks to better stabilator control feel. "You can hold it off forever," said Mike. Besides the wing changes, the basic airframe construction was also upgraded. Where the P96 had a fabric stabilator and ailerons - a common choice among light aircraft designers - the Sierra is an all-metal airplane. Under European microlight rules, weight had to be held down by all available means as aircraft grew beyond their ultralight roots. The airframe changes also addressed ASTM industry consensus rules. The more-microlight P96 never underwent JAR/VLA certification, but the P2002 Sierra has done so. The Joint Airworthiness Regulations for Very Light Aircraft, a European system, is a thorough certification program that made it very reasonable for Tecnam to make their Statement of Compliance as a Special Light-Sport Aircraft. Tecnam's Sierra also advances the capability of the planes, increasing the P96's 1,160- pound gross weight to LSA's 1,320 pounds. In other ways, the Sierra was designed to be more capable with fuel growing to 26.4 gallons from 18.5 gallons in the P96. That translates to another 200 miles of range. Despite the higher gross weight, takeoff roll distances are similar, said Tecnam. However, the Sierra's laminar flow wing has to be flown off the runway. You must rotate the plane where the P96 would practically fly itself off the ground. For both high-wing and low-wing, Tecnam changed the fuselage as well as the wing. The older models were oriented to kit building and so had boxier lines that are easier for amateurs to assemble. The factory- built Sierra, Echo Super, and Bravo have smoother, cleaner lines and a more finished appearance. Other less visible changes of importance are an integrated carbon fiber rollover bar and more rugged landing gear. No change was made to the nose gear. The P2002 Sierra does not have a Fowler flap system but a 2-inch gap between wing and flap greatly aids airflow permitting a full 40° flap deployment. Choice Is Good Tecnam has an enviable position in the marketplace because they can offer two high-wing choices and a low-wing model. While Italian engineers dropped the P96 with the upgraded Sierra in '02, they did likewise with the Bravo in '04, but they did not replace the older P92 Echo, which was upgraded to the Echo Super. The Bravo and Sierra share the new laminar flow wing so their takeoff characteristics are similar yet differ from the older Echo. Mike says the Tecnam Sierra and Bravo perform very similarly and that has been my experience as well. He and Lynne have compared them in flight and find the Bravo slightly faster, perhaps due to the lower amount of dihedral, they speculate. However, on refueling after their comparison flights the Birminghams found the two models took nearly identical fuel loads. Climb rates are also similar with the Sierra being slightly stronger in climb. The low-wing model averages 600 fpm at 75 knots (86 mph). The older P96, with its straight and fatter wing, gets off the ground quicker; its lighter weight also helps it accelerate quicker. But Sierra climbs faster and can fly faster. "It's the [Piper] Cherokee versus the Warrior with the wing differences," explains Mike. If you have to get out of a short field quicker the older models are superior. The Bravo cabin seems larger due to the armrests that are lacking in the Sierra. "Though the cockpit dimension is actually the same, the Sierra doesn't seem as wide," Mike says. Balancing the space sensation, Mike thinks the Sierra has a more "fighter aircraft" feel, where the Bravo will appeal to those many Cessna lovers. Of course, the difference relates to sitting on the wing spar versus hanging from it. The Bravo offers slightly more headroom than the Sierra. "Someone taller than 6 feet, 6 inches, will be more comfortable in a Bravo," indicates Mike. Taller occupants with longer legs will sit aft more, which provides more headroom under the spar. Like most cantilevered designs, the spar does invade the cockpit to a small degree. Ironically, as a shorter person will sit further forward, they may notice the spar presence more than a taller person. The Sierra's canopy can't go quite as far aft as on the P96 because of the canopy's different slope line. Therefore, taxiing with the canopy partially open positions the canopy closer to the heads of taller occupants. The Sierra/Bravo wing has stall strips that never appeared on the P92 or P96 models. When Tecnam went to the laminar flow wing, these wing devices were added to start the stall inboard. "A laminar flow wing stalls more at once and stall strips prevent that," explains Mike. Personally, Mike prefers the high-wing Bravo to the Sierra for a few reasons. He says entry and exit passengers like to see the ground more than look up at sky scenery, and the high-wing helps the cockpit stay cooler, a significant factor to many buyers living in warmer climates. Ultralighter Appeal Ultralight pilots (like me) love the idea of having breezes course through the cockpit. Many LSA don't allow this pleasure. Maybe Cessna and Piper pilots don't care, but readers of Light Sport and Ultralight Flying magazine probably do. The beauty of the Sierra is that you can open the canopy at any speed, though Mike says it is more comfortable at speeds under 90 knots (103 mph). My own experience says even 90 is pretty windy, but the ultralight enthusiast in me still loves being able to open up the plane. Though my personal preference also leans toward high wings (it's about the sightseeing view), opening the doors isn't nearly the same as sliding the Sierra's canopy aft and letting Mother Nature join you in the cockpit. However, you cannot have the canopy open for takeoff, according to the Pilot's Operating Handbook. When you latch the Sierra's canopy, it will be quieter than the Bravo. "Doors are harder to seal than a canopy," observes Mike. Three latches secure the Sierra's canopy. When you open the canopy you'll suffer a 10- knot (11-mph) speed penalty, but who cares when you just want to feel the breeze. When you close the canopy, you must duck your head a little as the leading edge is set a bit lower than the overhead position. I feel very fortunate. I have had the chance to compare many LSA and among all those I've flown, the Tecnam aircraft fly beautifully. Mike Birmingham says Tecnam's philosophy is, "Pilots First, Engineers Second." The controls use no springs; all are solely aerodynamic in their actions. To achieve this, all controls are balanced by well-distributed weights. Control harmony is very good with pitch stabilized enough to approximately match aileron control pressures. Achieving this wonderful situation is the work of Tecnam's "Professor" Luigi Pascale, the 82-year-old patriarch of the Italian airplane builder. "He still does all first flights on Tecnam airplanes," remarks Mike. The experienced veteran's knowledge is backed up with the latest Catia v.5 software, wind tunnels, and close association with the Italian aero institutes and universities. The Sierra's cockpit is built with dual throttles allowing each occupant to have their left hand on the throttle and right hand on the joystick. Electric trim is located on the joystick and you can verify the setting via a trim position indicator. While the Rotax 912 warmed up, I kept a hand on the centermounted brake. General aviation pilots may prefer toe brakes, but those of us used to ultralights are fine with a hand brake. Aft of the handbrake lever is a knob that twists to set the pulled hand lever. The brakes are hydraulic; when you pull the brake lever back and turn the knob, it merely locks the hydraulic pressure. Though it may look like a castoring assembly, the Sierra has a fully steerable nosewheel. A rubber doughnut-type shock absorber takes up most shock you impose on it. Time to Go I set 15° flaps for takeoff and noted the electric control moved the surfaces quickly and I could set infinite positions. Launching was ordinary and fairly swift but you must rotate manually. Unlike the simpler-winged P96, the Sierra won't simply fly itself off the tarmac. "I have had the chance to compare many light sport aircraft and among all those I've flown, the Tecnam aircraft fly beautifully." After launch, climb settled in at 700 to 800 fpm. Later on, the normal Sierra landing procedure is to use about 20° of flaps - slightly more than halfway on the indicator. I had set power at 2000 to 2500 rpm and held my speed at just above 60 mph. Trim, like flaps, is also quite responsive, but another indicator shows where you have the surface set. When we got near the surface, I saw the Sierra retained energy very well. Even at 60 mph, it was easy to hold the nose off. Naturally, if you use 40° of flaps the energy bleed- off is faster. As you fly around in cruise, you'll have to work at not letting the Sierra's nose rise. The view angle over the nose is such that I tended to lift the nose too much. Apparently, this is a common new-pilot reaction to the Sierra. Though offering good feedback to pilot input, the Sierra handling proved quite responsive. The low-wing model offers fluid stick movements and the rudder pedals need little action to produce coordinated turns. Some pilots accustomed to using equal measures of stick and rudder will probably overuse the rudder initially. Handling of the Sierra was good enough that I was able to perform Dutch rolls to 30° to 40° very quickly and without swinging the coordination ball around too wildly. For an initial flight in the plane, I was satisfied with my performance of the maneuver. Many pilots believe FAA chose well when they elected to bump the speed limit for LSAs up to 120 knots or 138 mph. Even more than the P96, the Sierra makes nearly full use of this range. Cruise speeds at lower altitudes appeared to be consistent at 125 to 130 mph (108-113 knots). At 5,300 rpm, I saw 130 mph (113 knots) in level flight at 3,000 feet of altitude on a warm day. I estimate this power setting translates to a bit more than 75% power. When I performed stalls in any configuration, break came slightly below 40 mph indicated. The factory says 33 knots, which calculates to about 38 mph, so given probable instrument error at low speeds, the factory information appears to be accurate. Just before stall the stick provided a noticeable shake to it, beginning at about 45 mph indicated. Tecnam Proving Popular After 2 1/2 years of registering SLSA with FAA, Tecnam has a solid fourth-place rank among all brands (following Flight Design, American Legend, and Evektor). 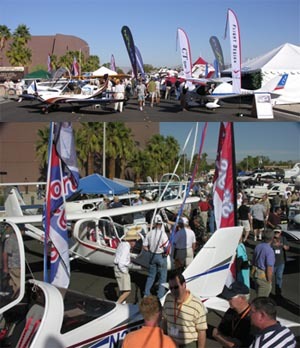 To join the Tecnam team, prices start at $95,900 for the Echo Super, $99,900 for the Bravo and $101,900 for the Sierra. These figures include shipping to Atlanta, Georgia - the Birminghams live there and bring in many of the new Tecnam SLSA - plus all required FAA documentation. To these base prices, you can add a long list of options and your Tecnam is more likely to list for $120,000 to $130,000. 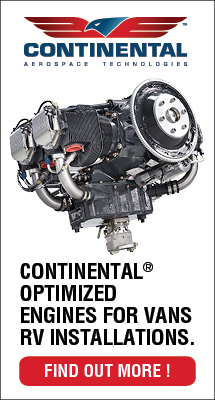 It can be much higher with general aviation-type navigation units and a Part 33-certified Rotax 912 engine. As with all European-sourced SLSA, prices are subject to significant change based on currency fluctuations. Since January '07, the euro was up more than 10% against the dollar so all dollar-denominated prices must rise by this amount. But no one makes a dime on the increase; this extra money doesn't go to Italy or the Birminghams or their dealers. It just disappears into that thin air of currency trading. Ultralight pilots switching to Sport Pilot may be happy with a VFR model with communications radio, transponder, and ELT (see panel photos). You could select the very well proven Echo Super and might keep it at $100,000. Experienced Private or better pilots may want a Garmin 430 or 530, strobe lights, navigation lights, and gyro instrumentation, which will increase the price beyond $130,000. General aviation pilots leaning to the Sierra with the fuller panel may have an eye to IFR operations. Mike explains that Rotax is okay with night and IFR operations as long as you use the certified version of the 912. If you want to save that extra $8,000 though, the Rotax 912 ULS (non-certified version) without carburetor heat will still permit night but not IFR operations. "You could even file for IFR," Mike said, "but you won't be able to fly actual Instrument Meteorological Conditions (IMC)." However the money part turns out, you'll be joining a team that enjoys a leadership position, long company history,Western manufacturing, and well-regarded flight qualities. 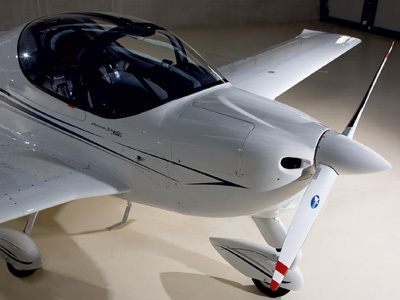 If six-figure prices seem out of sight, you may wish to consider financing, which can bring the outlay down to $639 per month after a down payment and before options, says Tecnam USA. I've spoken to numerous pilots who have flown the Sierra, Bravo, or Echo Super. So far everyone seems to love the way these Italian airplanes fly.With all their strong points and brewing interest in light sport aircraft, Tecnam seems certain to remain among LSA industry leaders. With highly conventional flight qualities and construction that many pilots embrace, it is no wonder Tecnam has established itself as one of the leading LSA suppliers to the American market. One of their models may be just right for you. 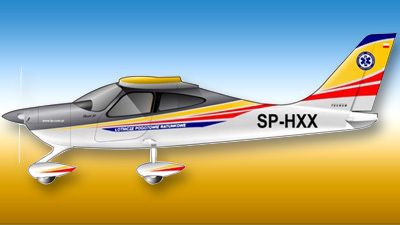 Standard Features Rotax 912 with electric starting, basic panel instruments, tapered laminar wing, slotted flaps, sliding canopy (can be opened in flight), hydraulic brakes, adjustable seats, electric flaps and pitch trim, dual controls, cabin heating, 4-point seat belts, ventilation, two entry doors, baggage area. Options Numerous additional instrumentation including glass displays, radio choices, autopilot, IFR instrumentation, ballistic parachute, lighting packages, fuselage covers. Construction Aluminum airframe, fiberglass fairings, all-aluminum wing and tail skins and fuselage. Made in Italy; distributed to American dealers by Italian company with U.S. agents. Pros - Among the best proven designs in the LSA industry. Tecnam brand offers two high-wings and a low wing. Approved under Europe's JAR/VLA program and ASTM consensus standards. All-metal designs trusted by most buyers. All three SLSA designs (Sierra, Bravo, Echo Super) have been updated. Cons - While addressing the established pilot population, designs do not offer a slate of new innovations. Panels are smaller than some LSA (though glass instruments are easily fitted). Cabins aren't quite as wide as some LSA and panels are conventional looking (though this fact appeals to many GA pilots). Pros - All the Tecnam line offer a full range of systems, some at additional cost. Electric flaps and trim can each be infinitely adjusted with panel indicator. Center mounted hand brake with parking feature. The Rotax 912 engine provides electric starting and power output for onboard electronics. Cons - Full engine cowling must be removed for maintenance. Also, crowded working on instruments via the cockpit. Hand brake is less well accepted by general aviation pilots; could affect resale value. Fueling the Bravo and Echo Super requires a step or ladder (as with most high wing designs). Pros - Dual throttles likely appreciated in the training environment (where Tecnam designs could do well). Excellent visibility in all models; even high wings have full side windows. Interior appointments will please any pilot used to common general aviation interiors. Easy entry and exit from high wing models. Sliding canopy on the Sierra can be opened in flight. Seats adjust. Cons - While wider than a Cessna 172, all Tecnams have slimmer interiors than several other LSA. Loading won't allow much baggage if two large occupants are on board. Entry and exit to the Sierra means stepping atop the wing first; not optimal for older or less capable pilots. Pros - Tecnam reveals its microlight heritage with a hand brake that most ultralight pilots will accept. Parking feature on brake handle. Plenty of ground clearance for less optimal surfaces. Good steering precision. Sturdy gear appears up to flight instruction operations. Cons - Not a super-fast handling aircraft (though most pilots don't prefer too-light or -responsive controls). No other negatives; excellent control characteristics. Pros - Very well suited to training operations with conventional takeoff and landing qualities. Flaps are highly effective. High-wing models slip especially well (the Sierra also good but less so than high-wing models). Good climb rate at 1,000 fpm. Good ground clearance should an off-field landing be necessary. Cons - Like most low-wings, the Sierra has less downward landing visibility on approach. Glide is adequate but less than several other LSA. No other negatives; great landing aircraft. Pros - Very conventional handling with no control springs to interfere with natural feel. Very good control harmony, among the best in light sport aviation. Dutch rolls went well to sharp angles right from first trials. Steep turns took little additional power and carved nice turns. Superb control predictability. Pros - Strong climb rate (1,000 fpm) using 100-hp Rotax 912S engine. High cruise (113 knots observed on installed ASI) yet moderately slow stalls resulting in a very respectable 3.2:1 min/max speed ratio (only a few LSA are better). Climb is reasonably strong at 600 to 800 fpm. Clean design helps reduce fuel consumption. Cons - Glide not as strong as some sleeker, lighter LSA models. By stated specs, takeoff roll (at 460 feet) is longer than several competitors. A very few other brands offer longer range or lower fuel burn (though most pilots won't care about this margin as Tecnam models do reasonably well). Pros - All stalls revealed very modest behavior with no clear stall break even when aggravated. Steep turns held bank angle well, did not tighten even as 45° bank angle. Longitudinal and lateral stability checks proved normal and acceptable. Power adjustments brought expected change in pitch. Cons - Adverse yaw was notable on the Bravo (though seemed less on the Sierra). No parachute fitted to any Tecnam flown, so no unusual attitude work conducted (Tecnam does offer a parachute as an option). Pros - Tecnam offers one of the most reliable LSA brands; the company is highly likely to remain in business well into the future. Performance and handling packages are well optimized for the typical LSA buyer; package works well in a flight-training environment. Trustworthy construction of all metal; excellent fit and finish reported by most buyers. Cons - Italian-based distribution with only dealers and no committed importer cause some buyers to wonder about long-term support (though this could change if Tecnam follows through with a one-time plan to assemble in the USA). Priced toward the higher end of all LSA models, well past $100,000. Announced in July ’04, the Light-Sport Aircraft (LSA) category is still relatively new, and has yet to celebrate its fourth birthday. But many of the airplanes getting all the attention today were not born in the last 3 1/2 years. Many have rather long histories, some in Europe’s microlight category and others in countries that have applicable standards. Among the longest in production is the Tecnam family of airplanes. The central Italian company reports more than 2,000 of their light planes flying in what may be the largest fleet in this market segment. Given this company’s track record, these airplanes have gone through rounds of improvement. Our subject this month, the P2002 Sierra, came from the P-96. The numbers relate to the year of development and show the low-wing Special Light-Sport Aircraft (SLSA) from Tecnam has a dozen years of history. Costruzioni Aeronautiche Tecnam (the company’s complete name) is 57 years old and traces its roots back to the 1950 P48B Astore. Rounding out Tecnam's S-LSA offerings in the U.S. are the high-wing Bravo and Echo Super. The Sierra and Bravo use the same laminar flow wing, giving them similar takeoff characteristics. All three aircraft are tri-gear and all-metal with side-by-side seating. The Sierra has dual throttles and joysticks--good for training purposes. Electric trim is on top of the joystick; trim position is verified by an indicator. 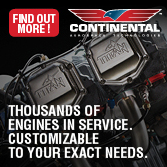 The 100-hp Rotax 912S engine powers all three Tecnams. For IFR flight the aircraft must be powered by the FAR-33 certified version of the 912S. Mike Birmingham says the Sierra has a "fighter plane" feel to its handling. Like the Bravo, the Sierra's cockpit is 43 inches wide. Tecnam switched to a tapered wing with a laminar flow to achieve performance parameters of the United States' LSA definition. Before Cessna announced its light-sport aircraft (LSA) prototype, the Wichita, Kansas-based aircraft manufacturer investigated the airplanes produced by Costruzioni Aeronautiche Tecnam, aka Tecnam. Cessna's interest was likely stimulated by Tecnam's 50-year history of aircraft manufacturing. The company traces its roots to 1950 and the P48B Astore. You may also be familiar with its twin-engine Partenavia series of aircraft that emerged in the 1970s. The Pascale brothers founded Costruzioni Aeronautiche Tecnam just after World War II, but the company was reorganized in 1986. Based today in Casoria, Italy, Tecnam is a large operation with 36,000 square feet of facilities near the Naples Capodichino airport. A second facility is located in Capua, where the final assembly line is adjacent to an airport where flight tests are conducted. "Professor" Luigi Pascale, the 82-yearold patriarch of Tecnam, remains the guiding light of the company. He reportedly still does all first flights of Tecnam airplanes. The company's design approach is backed with the latest Catia V5 software, wind tunnel tests, and close associations with Italian aero institutes and universities. You may be wondering how a recreational aircraft manufacturer can afford such large facilities, equipped with many engineering workstations, extensive machining capability, full aircraft assembly line, ISO 9002 certification, and nearly 100 workers on the production line. The answer is that Tecnam also builds fuselage sections for Boeing, horizontal tail plane assemblies for ATR airliners, and parts for various other large aircraft. Of greatest importance to American sport pilots is the fact this leading Italian small aircraft manufacturer has delivered close to 2,000 lightplanes, making it one of the most prolific producers of fully built recreational aircraft. 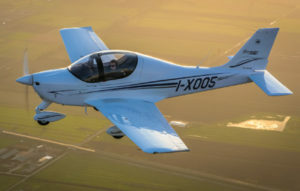 The Italian company definitely has a rich aviation history, and now the U.S. market is graced with three approved special light-sport aircraft (S-LSA) models from it: the P92 Echo Super, the P2002 Sierra, and the P2004 Bravo-the numbers indicating the year the airplane went into production. The Sierra also holds JAR/VLA (Joint Airworthiness Regulations for Very Light Aircraft) certification. This European certification system is a thorough program; having already complied with those standards made it relatively easy for Tecnam to make its Statement of Compliance as an S-LSA d A New Distributor and Modified Designs Tecnam altered its original approach to distribution of its products in the United States about a year ago and appointed Lynne and Mike Birmingham as the company's sole U.S. agents, a role that requires the Georgia couple to enlist dealers throughout the country and initiate the process of import and distribution of the company's airplanes. The Birminghams have established seven U.S. dealers thus far. (For a complete listing, visit www. 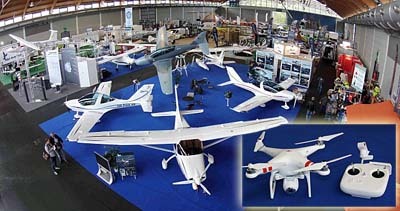 TecnamAircraft.com and click on Dealers.). Currently, Tecnam is in a tie for fourth in the race for market share- that is, sale and delivery of S-LSA. Given the accolades heaped on the flight qualities of Tecnam's aircraft, I'd expect the company to maintain a strong position in the ready-to-fly LSA market. My experience with Tecnam aircraft starts with the company's original high-wing P92 Echo, which evolved into the Bravo and Echo Super, and the low-wing P96 Golf, which evolved into the Sierra. (We'll look at the Sierra and Bravo in this report.) Lynne Birmingham reported the Sierra is substantially changed from the earlier Golf, but she added it shares an identical wing with the cantilever, high-wing Bravo. The main change made to Echo Super and Sierra occurred in early 2000 when the squared-off "Hershey bar" wing then used gave way to a tapered wing with a laminar flow shape. Those refinements resulted in a gentler stall, and the new wing enjoys a Rounding out Tecnam's S-LSA offerings in the U.S. are the high-wing Bravo and Echo Super. The Sierra and Bravo use the same laminar flow wing, giving them similar takeoff characteristics. All three aircraft are tri-gear and all-metal with side-by-side seating. 6- to 8-knot faster cruise speed. While the older Golf reached 110 knots, the Sierra can slip along at 116 knots at 75 percent power. Mike Birmingham, a retired airline pilot, said the Sierra also takes turbulence better. "It feels less like a lightplane and more like a heavier airplane," he reported, but he added it's also more responsive in roll, not less as might be expected. Enhanced longitudinal stability also resulted from the new wing, Mike said. "It's magnificent; the Sierra comes back to level in three oscillations." Such a quality improves cross-country flying, even for those who choose an autopilot option. This characteristic also improves landings by allowing pilots to flare more precisely thanks to better stabilator control feel. "You can hold it off forever," said Mike. Some construction changes were also made to the airplane. The original Golf had a fabric-covered stabilator and ailerons, a common choice among light aircraft designers, but the Sierra is now an all-metal airplane, including all control surfaces. The fuselages of both the high-wing and low-wing Tecnams also changed. The older models were oriented toward kit building and had boxier lines that made assembly easier for amateurs. The factory-built Sierra, Echo Super, and Bravo have smoother, cleaner lines and a more finished appearance. Other less visible changes of importance are an integrated carbon fiber rollover bar and more rugged landing gear. No change was made to the nose gear. Tecnam also advanced the capability of the airplanes, stretching the Golf's 1,160-pound gross weight to 1,320 pounds for the Sierra and increasing the airplane's fuel capacity to 26.4 gallons from the Golf's 18.5 gallons. That translates to another 200 miles of range. Still, despite the Sierra's higher gross weight, takeoff distances between the two airplanes are similar. However, the Sierra's laminar flow wing has to be flown off the runway, whereas the Golf would practically fly itself off the ground. Similar changes occurred in the transition of the P92 Echo to the Bravo, which shares the new laminar flow wing with the Sierra, making their takeoff characteristics similar. Mike said the two airplanes perform fairly similarly. He and Lynne, also an experienced pilot, compared the airplanes in side-by-side flights and found the Bravo just slightly faster. They speculated that might be related to the lower amount of dihedral in the Bravo's wing. On refueling, the Birminghams found the two models had nearly identical fuel burns. Climb rates were also similar, with the Sierra being slightly stronger in en-route climb. The low-wing model averages 600 fpm at 75 knots. The older Golf, with its straight and fatter wing, gets off the ground quicker; its lighter weight also helps it accelerate quicker. But Sierra climbs faster and can fly faster. "It's the Piper Cherokee versus Warrior with the wing differences," explained Mike. The older models are superior for getting out of a short field quicker, he added. The Bravo's cabin seems wide, but the cockpits are actually the same dimension (43 inches wide), Mike said. But, balancing the space sensation, Mike thinks the Sierra has a more "fighter aircraft" feel, whereas Bravo will appeal to Cessna lovers. Of course, the difference in view related to sitting on the wing spar versus hanging from it also needs to be considered. The Bravo offers slightly more headroom than the Sierra. "Anyone taller than 6 feet 6 inches will be more comfortable in the Bravo," Mike said. Taller occupants with longer legs will sit aft more in the Bravo, giving them more headroom under the spar. Like most cantilevered designs, the spar does invade the cockpit to a small degree. Ironically, a shorter person sitting farther forward may notice the spar presence more than a taller person. The Sierra/Bravo wing has stall strips that weren't on the earlier Echo and Golf models. When Tecnam went to the laminar flow wing, these wing devices were added to start the stall inboard. "A laminar flow wing stalls more evenly across the surface at once and stall strips prevent that," Mike said. He prefers the high-wing Bravo to the Sierra for a few reasons: entry and exit are easier; it is easier to load baggage into; passengers like to see the ground more than look up into the sky; and the high-wing shades the cockpit, keeping it cooler, a significant factor for many buyers living in warmer climates. The Sierra's cockpit has dual throttles, allowing each occupant to have their left hand on the throttle and right hand on the joystick. Electric trim is located on the joystick, and you can verify the setting via a trim position indicator. You can open the Sierra's cockpit at any speed, though Mike said it is more comfortable at speeds under 90 knots. My experience says even 90 is pretty windy, but the ultralight enthusiast in me loved being able to slide the canopy back. My personal preference also leans toward high wings-it's about the sightseeing view-but opening the doors isn't nearly the same as sliding Sierra's canopy aft and letting the breeze flow through. One note: You cannot have the canopy open for takeoff according to the pilot's operating handbook. When you latch the canopy of Sierra, it is quieter than Bravo. "Doors are harder to seal than a canopy," Mike observed. Three latches secure Sierra's canopy. When you open the Sierra's canopy you'll suffer a 10-knot speed penalty, but who cares when you just want to feel the breeze. Ultralight pilots and others experienced in open-cockpit flying love this capability. When you close the canopy, you must duck your head a little as the leading edge is set a bit lower than the overhead position. Pilots First Most pilots who have the chance to compare many LSA will find the Tecnam aircraft fly well. The flight characteristics are no fluke. Mike reported that Tecnam's philosophy is "pilots first, engineers second." The controls use no springs; all are solely aerodynamic in their actions. To achieve this, all controls are balanced by well-distributed weights. Control harmony is good, with pitch stabilized enough to approximately match aileron control pressures. While the Rotax 912 warmed up, I kept a hand on the center-mounted brake. Aft of the handbrake lever is a knob that twists to set the lever. The brakes are hydraulic; when you pull the brake lever back and turn the knob, it locks the hydraulic pressure. Though it may look like a castering assembly, Sierra has a fully steerable nose wheel. A rubber doughnut-type shock absorber takes up most of the shock you impose on it. When I set the Sierra's flaps to 15 degrees for takeoff, I noted the electric control moves the surfaces quickly, and you can set infinite positions. Launching was ordinary and fairly swift, but you must rotate the airplane manually. Unlike the Golf, the Sierra simply won't fly itself off the tarmac. Climb settled in at 700-800 fpm. As we flew around in cruise, I had to work at not letting Sierra's nose rise. The view angle over the nose is such that I tended to lift the nose too much. Apparently this is a common reaction by pilots new to flying this airplane. The Sierra's handling is quite responsive yet very positive. It offers fluid stick movements, and the rudder pedals need little action to produce coordinated turns. Some pilots accustomed to using equal measures of stick and rudder may overuse the rudder initially. I was able to perform Dutch rolls to 30 to 40 degrees quickly and without swinging the coordination ball too wildly. For a short first flight in the plane, I was satisfied with my performance of the maneuver. Many pilots believe the FAA chose well when it elected to bump the speed limit for LSA up to 120 knots or 138 mph, and the Sierra makes nearly full use of this range. Cruise speeds at lower altitudes appeared to be consistent at 125 to 130 mph (108-113 knots). At 5300 rpm, I saw 130 mph (113 knots) in level flight at 3,000 feet of altitude on a warm day. All stalls I performed broke slightly below 40 mph indicated. The factory says 33 knots, which calculates to about 38 mph; given probable instrument error at low speeds, the factory information appears to be accurate. Just before stall, the stick provided a noticeable shake, beginning at about 45 mph indicated. The normal landing procedure in the Sierra is to use about 20 degrees of flaps, slightly more than halfway on the indicator. I had set power between 2000 to 2500 rpm and held my speed at just above 60 mph. Trim, like flaps, is also quite responsive. The Sierra retains energy well. Even at 60 mph, it was easy to hold the nose off. With 40 degrees of flaps set, the energy bleed-off is faster, as you'd expect. A Leader Among LSA With conventional flight qualities that general aviation (GA) pilots embrace, it is no wonder Tecnam has established itself as one of nine companies that have made 80 percent of all S-LSA deliveries since the first airplanes were approved 18 months ago in April 2004. Despite its leadership position, long company history, and well-regarded flight qualities, Tecnam's airplanes are not the most expensive S-LSA. Base price on the Sierra is presently $91,000, though such figures are subject to significant change based on currency fluctuations. Sport pilots may want a visual flight rules (VFR) model with a communications radio, transponder, and emergency locator transmitter (ELT). Add shipping, reassembly, N number, and certification, and the Sierra's price reaches $100,000. 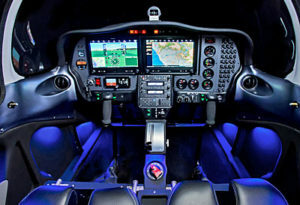 Private pilots may want a more advanced cockpit, with a Garmin 430 integrated flight control system (glass cockpit), strobe lights, navigation lights, and gyro instrumentation, which will increase the price to $120,000 to $125,000 according to Mike. GA pilots leaning toward the Sierra with the fuller panel may have an eye to instrument flight rules (IFR) operations. 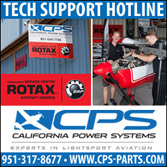 Mike explained that Rotax approves night and IFR operations so long as the airplane is powered by the certificated version of the 912 engine, which adds $8,000. If you want to save that extra $8,000, though, the non-certified version 912 ULS without carburetor heat may still be flown at night but not for IFR operations. Base price of the Bravo model starts at $88,900. Like the Sierra, it has a broad list of standard features and options. (Options for all three aircraft are nicely outlined on the Tecnam Aircraft website, www.TecnamAircraft.com.) The Tecnam line is broad and diverse enough that a review like this can do little more than whet your appetite and partly assist the purchase decision. To get the full story you'll want to contact the Birminghams or one of their distributors. Tecnam expects to deliver more than 100 airplanes to the United States in 2007, Lynne said, adding, "We hope to add some level of production in the USA in the future, too." In talking with a number of pilots who have flown the Sierra, Bravo, or Echo Super, I have found no one to date who did not love the way these Italian airplanes fly. With their strong points and the still-exploding interest in LSA, I predict the company will remain a sales leader in LSA. Before Cessna announced its light-sport aircraft (LSA) prototype, the Wichita, Kansas-based aircraft manufacturer investigated the airplanes produced by Costruzioni Aeronautiche Tecnam, aka Tecnam. Cessna’s interest was likely stimulated by Tecnam’s 50-year history of aircraft manufacturing. The company traces its roots to 1950 and the P48B Astore. You may also be familiar with its twin-engine Partenavia series of aircraft that emerged in the 1970s. The Pascale brothers founded Costruzioni Aeronautiche Tecnam just after World War II, but the company was reorganized in 1986. Based today in Casoria, Italy, Tecnam is a large operation with 36,000 square feet of facilities near the Naples Capodichino airport. A second facility is located in Capua, where the final assembly line is adjacent to an airport where flight tests are conducted. “Professor” Luigi Pascale, the 82-yearold patriarch of Tecnam, remains the guiding light of the company. He reportedly still does all first flights of Tecnam airplanes. The company’s design approach is backed with the latest Catia V5 software, wind tunnel tests, and close associations with Italian aero institutes and universities.